Only 5 sleeps to go till we leave on a big African adventure with our parents. We have been told that we are going to see some amazing sights and will do some very different things to what we are used to. 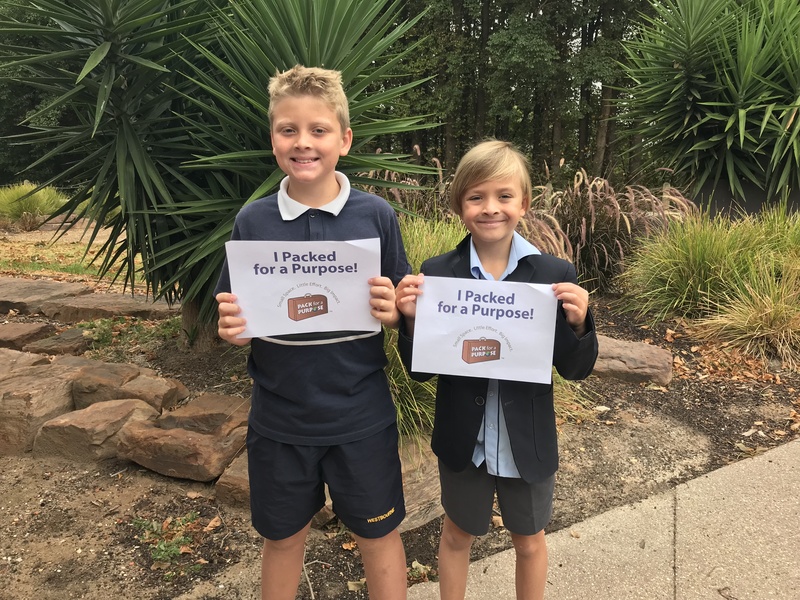 We know we are pretty lucky to go on this trip so when mum was telling us about Pack for a Purpose we decided to make it our own personal project. 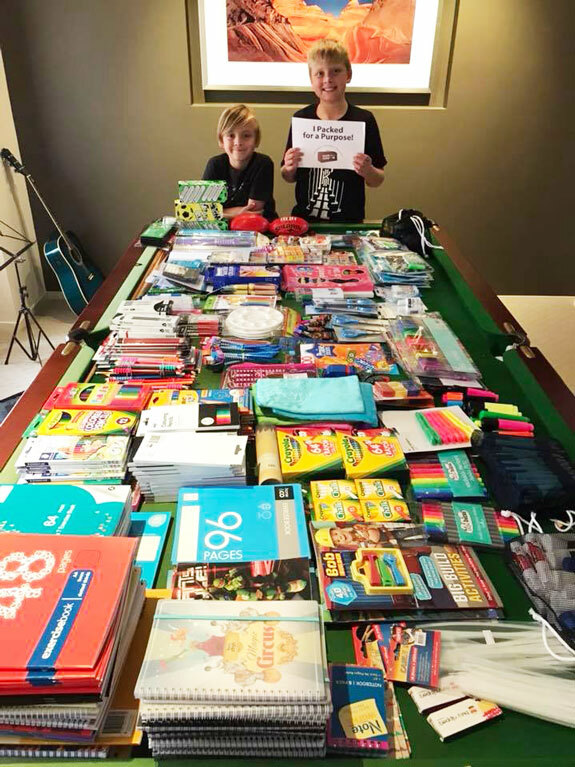 We decided to try and collect as many school supplies as possible for a school in Zimbabwe, Hwange Main Camp Primary School. We set a goal of collecting 5 kilograms worth of pens, pencils, sharpeners, rulers and Calculators. Our first step was to ask our neighbours, friends and family if they could help us by donating something that we could pack into our bags to take with us. We could not believe that we reached our target within 3 days. We then decided we wanted to go BIG. 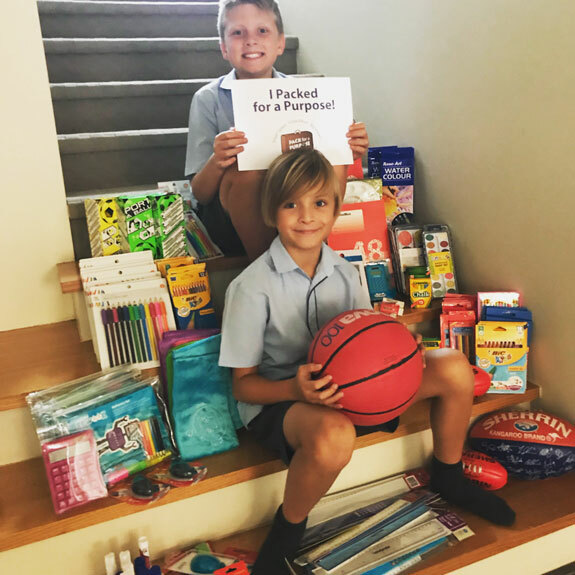 We asked mum if we could ask more people and try and collect 15 kilograms to take to kids that really need it – mum was all for it. Next we asked our teachers if we could chat the whole school about our project and see if any other children wanted to help and donate supplies. After we spoke to every class we set up a donation bucket and put posters up around the school. It wasn’t long before we started getting donations. We got loads more items such as scissors, sports balls, chalk, crayons, coloured pencils and some items to help teachers. We could not believe that our school friends were so generous and it wasn’t long before we got to 15 kilos. We still had 2 weeks to go before our trip so we made a new target, a big target 30 kilograms. To get to 30 kilograms we had to find new people to ask. So we sent an email to dad’s work friends, our sporting clubs and even our grandma’s friends. Everyone loved what we were doing and were more than happy to help us. Dad came home from work with a big pile of stock and my grandma’s friends keep sending bags of supplies to our house. We are very excited to announce that we have reached OVER 30 kilogram. We can’t believe it! 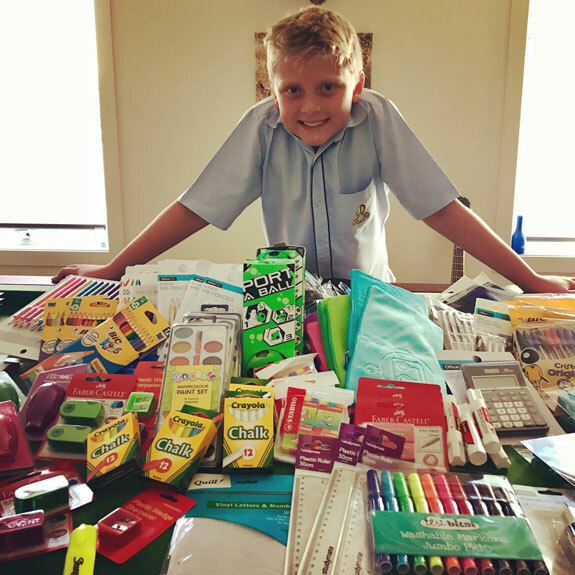 Now we have the very big task of taking all the school supplies and stationary out of any plastic packaging and repacking it into travel safe bags to take with us on our journey to Zimbabwe. We are very excited about delivering these items to the children of Hwange Main Camp Primary School. 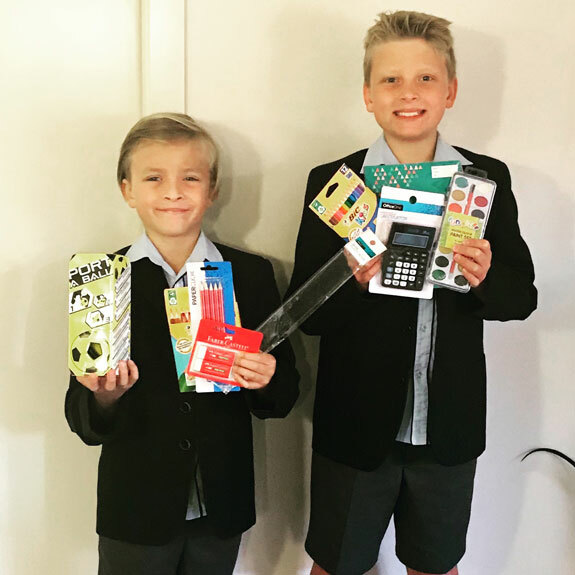 We know they really need these items and it will help them with their schooling. Stay tuned for part two. Khody and Owen will send another post once they have made their difference in the lives of others.